You can register today via this link http://www.blackwater10k.com/registration.html . There will also be a registration day held in Monaghan Shopping Centre on Saturday the 20th of May. The Blackwater 10Km has become an annual fixture in the sporting psyche of many runners within Monaghan & the North East Region with the event growing year on year. The Blackwater 10k event will celebrate its 10th Year in 2017 and its great success has been made only been possible due to the strong commitment of the organising committee – compromising of a very dedicated group of people and aided by a brilliant team of ‘event’ volunteers to make the whole thing possible. 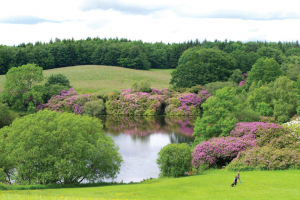 The beauty of this event is the natural surroundings that encompass the run / walk in wonderful Rossmore Park. The event has been supported throughout the years through various funding bodies and local businesses. So, this May, be part of something great!